Welcome to Rotherhithe Primary School‘s website. We are delighted that you’ve shown an interest in our school and hope that you find the website useful. 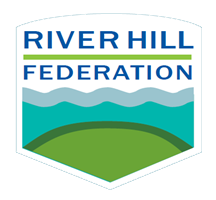 We are very pleased to inform you that Rotherhithe and Dog Kennel Hill primary schools are now officially in a hard federation as of 2nd January 2018. We will be sharing more information about this on our website in the coming weeks. We pride ourselves in providing a caring, happy and friendly atmosphere that nurtures all children and enables them to meet their maximum potential in all areas of their growth and development. We believe that every child is different, yet equally important and valued. This ethos is tangible and can be felt as soon as you walk into our school building and the classrooms. We aim to give the highest priority to academic excellence through a broad, balanced and exciting creative curriculum with a keen focus on the performing arts and sports. We invite you to look around, sample the atmosphere and perhaps think about enrolling your next generation into our school where they can begin their education as early as the age of three. Our Daycare centre also accepts babies and under two years old. Staff and pupils work tirelessly to continue to improve the quality of teaching and learning which is leading to progress and standards rising. However, our main aim is to give each young person an education of real worth, one which will equip him/her to take a place in society as a responsible, informed person who has high self-esteem and respect for others. Thus, we firmly believe that a child’s education must include the widest range of opportunities, be they artistic, sporting, cultural, recreational or social. Driven by the children, we chose an anchor as our logo which reflects our steadfastness, relentless commitment and the strength we show as a learning community. We consider ourselves as the ‘anchor’ of our community. Our values: Caring, Courageous, Ambitious, Resilient and Empathetic (CCARE) are at the heart of all we do. Our school is extremely well resourced for teaching our creative curriculum. We have a very modern, multipurpose computer suite which is being utilised well by children and parents during and after school. In addition, each class has access to laptops, iPads, cameras, an interactive whiteboard and projector which are used effectively throughout the school as teaching and learning resources. Whatever their special and/or educational needs, I can assure you that your child will be well looked after by our dedicated, committed and very skilful staff. We are an inclusive school and have achieved ‘Flagship status’ in recognition of our commitment that all pupils reach their full potential. Good emotional health and well-being is paramount for leaning and for creating well-rounded citizens, we have therefore incorporated mindfulness into our daily school practice. We take pride in our relationships with parents, the mutual respect our children and young people show each other and the care that we offer. We make time to get to know children and their families. We continue to improve as we find new and exciting ways to challenge our pupils to be the best they can be. We are confident about our future. Come and visit us and see for yourself!